Will your family be staying in (or visiting) Indiana for spring break this year? You don&apos;t have to travel far to find spring break fun for the whole family, and no matter when your school&apos;s spring break falls on the calendar, there are some great experiences just waiting for you and your kids here in Morgan County. Below, we&apos;ve listed six great things you can do this spring - one of them will surely appeal to your family, so make sure you take the time to get away from work, enjoy spring break and have some serious family fun. Don&apos;t forget to check our event calendar as well, for upcoming events like Garden Fest on March 23! Do your kids have a serious sweet tooth? 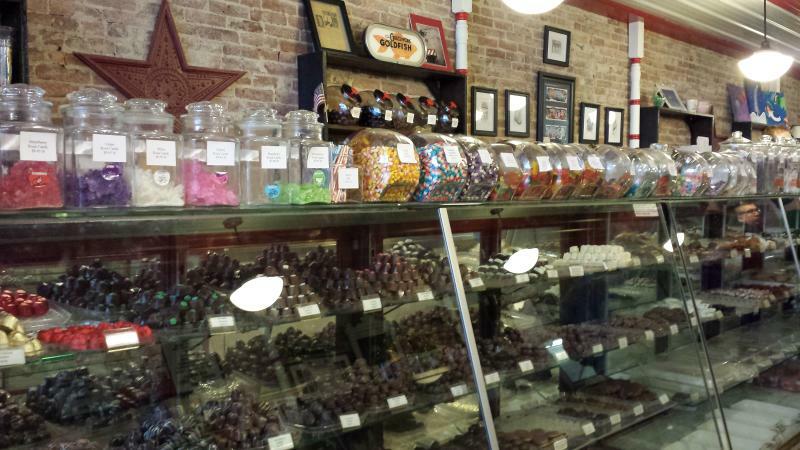 Indulge them with a visit to Hunter’s Honey Farm and the Martinsville Candy Kitchen. These two long-time Morgan County traditions are sure to delight kids of all ages (and they&apos;ll learn something, too)! Let the experts at Hunter’s Honey Farm show you how bees make honey and how that gooey golden sweetness is collected and bottled so you can enjoy on it. You can even fill your own honey bear bottle or make a beeswax candle! (Call ahead to schedule a tour.) Follow that up with candy and ice cream – both are available, along with awesome vanilla Cokes and root beer floats, at the Martinsville Candy Kitchen. If you need some real food to go along with all that sweetness, try Come N&apos; Git It Diner, 21 North Eatery & Cellar, Holy Smoke Hog Roast Company or The Waffle Whitch all of which are conveniently located in downtown Martinsville square. Add to the educational adventure with a quick stop at Fables and Fairy Tales Book Shop to pick up a book or two! Grab the kids and head for someplace that’s far enough away from the city you can hear (and see) the birds sing. 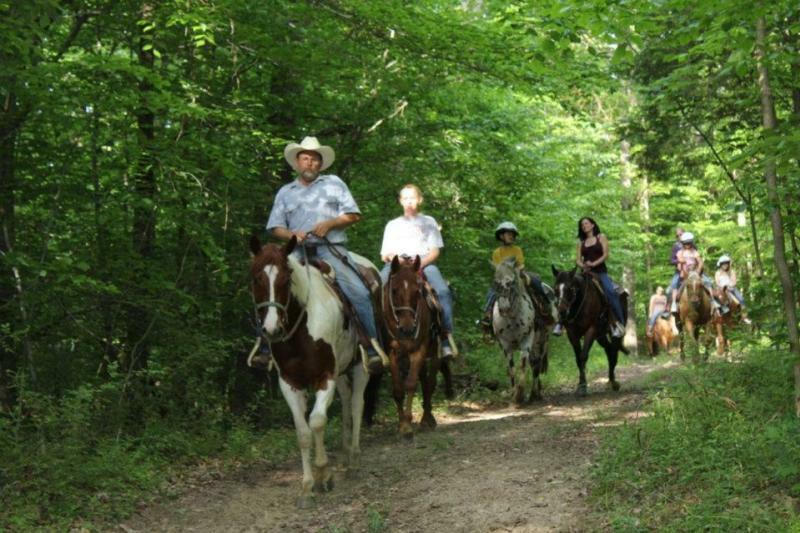 Burkhart Creek Park features paved and gravel surface trails, on both flat and hilly terrain…. and creek access, too! (Be sure to bring the rain boots.) OId Town Waverly Park features a two mile paved White River Greenway Trail along with some interesting local history (Did you know that Waverly was once considered for Indiana&apos;s state capitol? ), or go the more rugged route at Morgan-Monroe State Forest! After all that outdoor adventure, you’ll all be ready for some amazingly good pizza and breadsticks from Tomato Pie Pizza Joint in Paragon! Additional trails can be found at Jimmy Nash City Park in Martinsville and Pioneer Park in Mooresville. Discover the night skies at Link Observatory Space Science Institute! The observatory hosts a multi-media presentation on topics related to space exploration each month at the Mooresville Public Library. The date for this month&apos;s program is March 16. 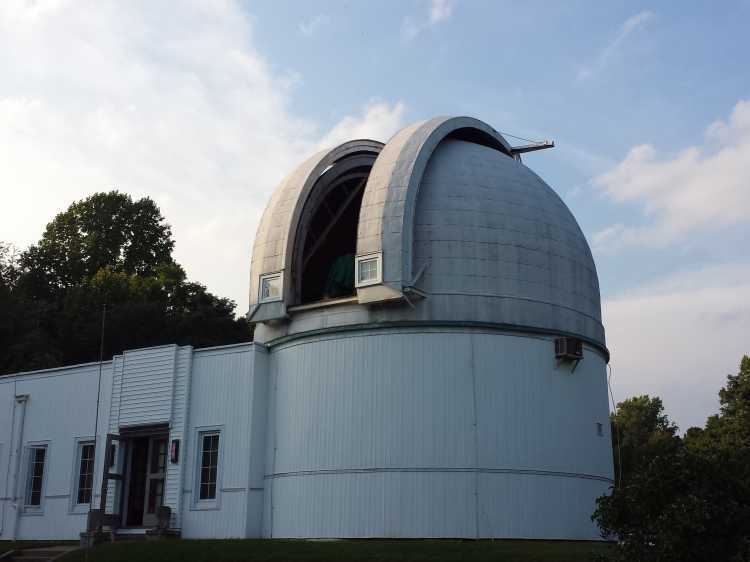 The presentation starts at 8 pm, with night sky viewing afterward at the observatory. Shuttles are available from the library to the observatory and back. Trust us - it&apos;s much more convenient to take the shuttle. The observatory&apos;s parking area is small and this way you have time to talk to your kids about what they&apos;ve just experienced! Be sure to grab an early dinner before the program - it takes a lot of energy to keep up with the stars. We recommend Ralph & Ava&apos;s Cafe, Zydeco&apos;s Cajun or Gray&apos;s Cafeteria. 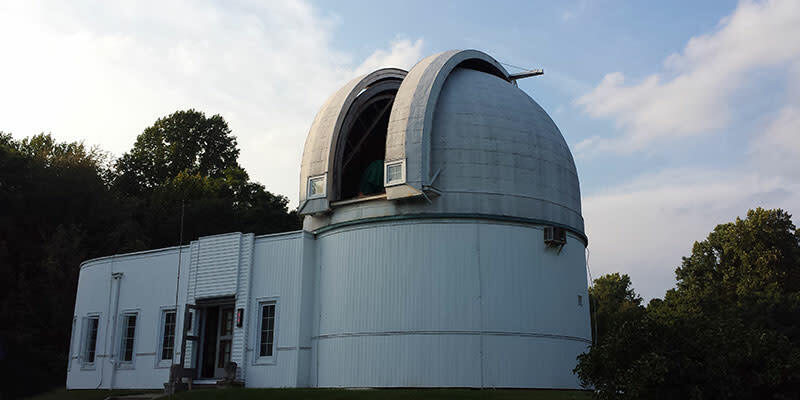 If you can&apos;t make it on the 16th, stop in on March 7th to explore the observatory in the daylight, from 9 am to 3 pm. As Daffodils begin to bloom in Morgan County, be sure to visit Helen Link&apos;s prized blossoms while you&apos;re there! Got artistic kids? Call Art Beyond Crayons (317-403-7147) in Morgantown or Mika Power Art (317-201-4488) in Studio 004 at the Art Sanctuary in Martinsville. Either can help you schedule a fun, customized play date with artistic flair for the entire family! Experiences can be tailored to specific ages and interests. After exercising your artistic nature, head for Kathy&apos;s Cafe or Come &apos;N Git It Diner to exercise your appetite with some traditional small-town diner fare. If you&apos;d rather view the work of others than create your own, don&apos;t miss the Art Sanctuary of Indiana, located about a block off the Courthouse square in Martinsville. They have Open Studios Night on the second Friday of each month when you can mingle with nearly 20 resident artists! If your family is filled with golfing fans, we’ve got a perfect afternoon of family fun on the links just waiting for you! Each of the area’s four golf courses offer beautiful, rolling terrain and great playability for a relaxing round of golf. The well-known Martinsville Golf Club is one of the Indianapolis area’s best kept secrets, and it, along with Foxcliff Golf Club, is conveniently located just north of Martinsville not far from State Road 37. Eagle Pines Golf Club is just south of Mooresville and Heartland Crossing is just north of Mooresville. 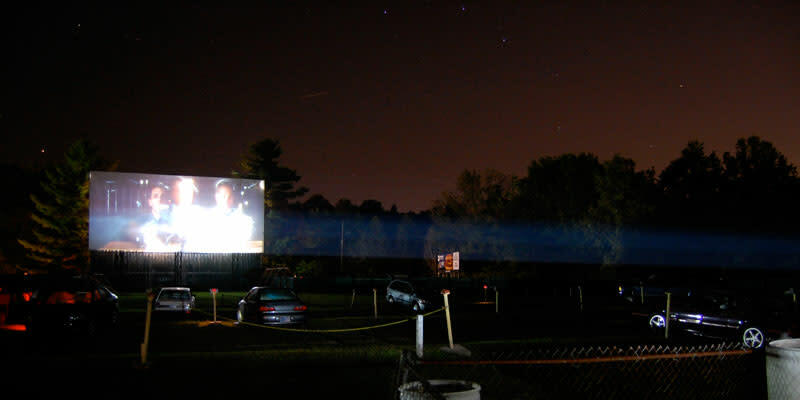 Enjoy an old-fashioned trip to the drive-in, with two great movies and excellent concessions! Okay, so maybe your spring break is before opening weekend, but you don’t really need to be on break to celebrate one of the most iconic signs of springtime – the Centerbrook Drive-in Theater will open for the 2019 season in mid-March. They will be showing some of the most anticipated movies of the season this spring, including! The drive-in features a great grassy area and playground for kids to enjoy before the show starts and video games in the concessions building to keep you busy before (and between) movies! Grab dinner at the show - they&apos;ve got burgers, pizza and more. We look forward to seeing you in Morgan County this spring break season! Be sure to contact us if you need personalized recommendations on what to do, where to eat and lodging options while you&apos;re in the area. We&apos;re always here to help!